Christian groups have welcomed a surprise announcement by a nationalist chief minister of a state in north-east India that he will ensure that a law preventing conversions from one faith to another is repealed. Pema Khandu, a Buddhist who heads the nationalist BJP-led state government in Arunachal Pradesh, told an audience of more than 2,000 Catholics that he would have the 1978 Freedom of Religion Act repealed in the next session of the Legislative Assembly. He added: “Any misuse of the law leading to the torture of people could trigger large-scale violence in the state and could break Arunachal into pieces.” Between the 1960s and 1980s some Christians in the state were subjected to torture, public beatings and detention, as their activity was resisted amid concerns of exploitation and the erosion of traditional cultures. The 1978 act prohibits “conversion from one religious faith to any other … by use of force or inducement or by fraudulent means and for matters connected therewith”, and provides for imprisonment of up to two years and a fine of up to 10,000 rupees (US$150). However since its enactment the proportion of Christians in the state has shot up as thousands of followers of tribal religions embraced Christianity. Khandu’s declaration yesterday runs contrary to the professed stance of the Hindu-nationalist BJP, of introducing these “anti-conversion laws” in states where it has gained power. It would make Arunachal Pradesh the first BJP-run state to repeal such legislation. 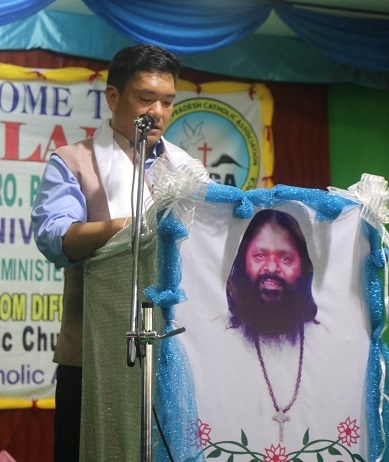 Khandu was addressing Catholics as part of a five-day celebration to mark ten years since the death of a lay Benedictine missionary who had trekked through the state’s remote mountain villages preaching a message of peace and urging Arunachal’s warring tribes to forgive. Henry Gaikwad, known as Prem Bhai (or “loving brother”), from Pune in western India, also baptised thousands. But because missionaries were banned from entering the state when he began his work in 1981, he initially entered it disguised as a carpenter or butcher. Khandu described Prem Bhai as a “brother of love” respected by all – local animists, Buddhists, Hindus and Muslims – because of the harmony and love he preached. This “simple missionary” had served the people irrespective of caste or creed, he said. Hailing Prem Bhai as “not less than a saint”, he laid flowers on the missionary’s tomb. Prem Bhai is buried at Banderdewa, on the edge of Arunachal Pradesh. He died in 2008 of a heart attack while visiting Sri Lanka. 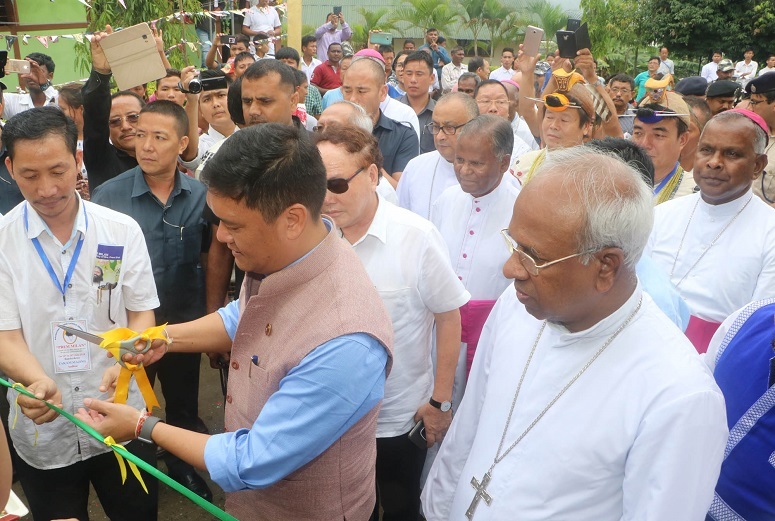 Khandu also announced that his family foundation would donate 1 million rupees ($15,000) to develop the medical centre and school that have been built near the missionary’s tomb. Prem Bhai has been called the “apostle of Arunachal”, and he played a crucial role in the rapid spread of Christianity in the state. According to the 2011 census, the number of Christians doubled in the previous decade and reached nearly 30 per cent of the state’s population of 1.4 million. Christians now make up the largest single faith group, ahead of Hindus and followers of tribal religions. After the figures from the 2011 census were finally released in 2015 – showing the Hindu population had fallen slightly, while Muslim and Christian populations had grown in some areas – some Hindu-nationalist groups hit out at Muslims and Christians for evangelising Hindus. Since Narendra Modi’s BJP took power in 2014, there has been a steady increase in violence against religious minorities, often following on from accusations of “forced conversions”. After the ban on missionaries eased unofficially in 1991, Prem Bhai established his ashram, or hermitage, at Banderdewa. At that time thousands of people were becoming Christians, including prominent state politicians.